The Warriors is a cult movie from 1979 fantasizing on the phenomenon of street gangs in New York, but is also a film about New York City. The Warriors Revealed is an investigation on the psychogeographical dimension that emerges from the film, where the map of New York City is redesigned according to the street gangs that "infest" it. The uniforms worn by members of each gang are more than signs of recognition, they're symbols of territorial and group identification. Indeed, in the run, the Warriors do not give up their uniforms - a leather vest with a winged skull on the back - they keep it proudly, remaining then easily recognizable. 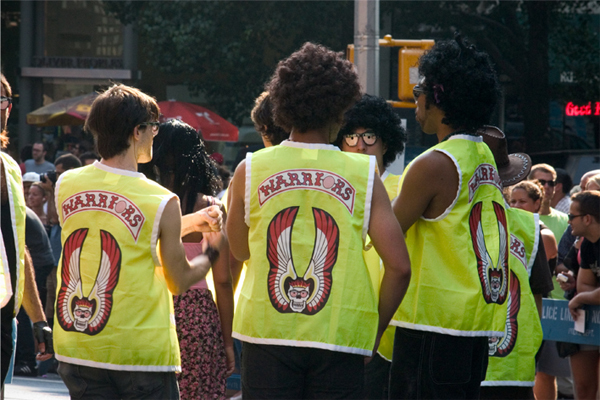 The Warriors Revealed is a project that plays on the factor of visibility of the Warriors lost in the city of New York. 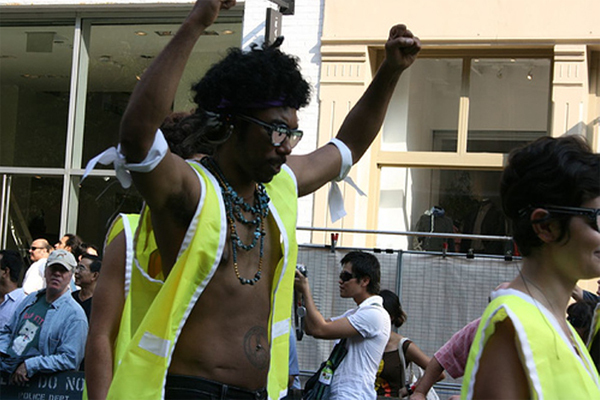 The leather vest is replaced by a yellow day-glo safety vest that makes who wear it recognizable even in the worst conditions of darkness. 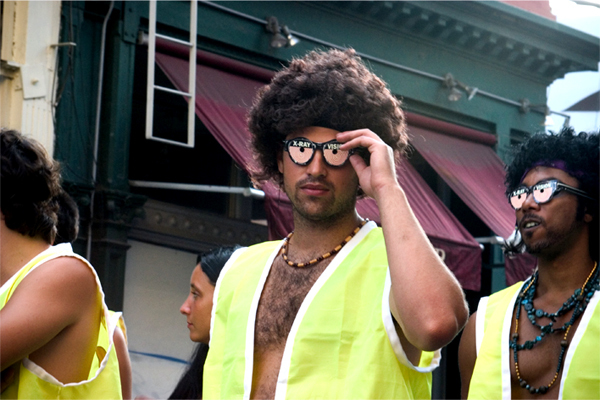 In addition, the Warriors wear x-rays cardboard glasses that, instead of what it is said, do not allow you to see through clothing, but to see backlight bones through the skin. The Warriors Revealed is built on the tension between "to see" and "to be seen," between supervision and visibility. 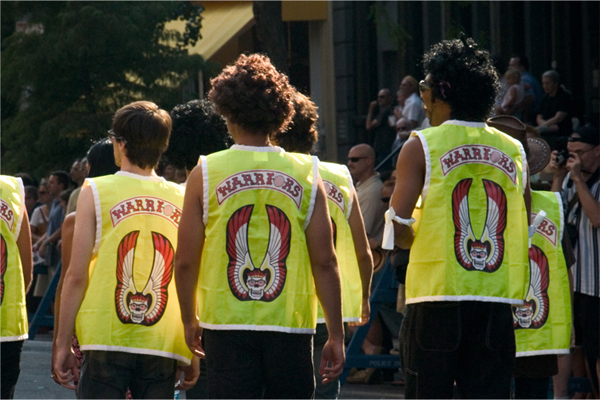 The Warriors wearing safety vests are even more visible and it is possible to detect their position easily: they reveal themselves. 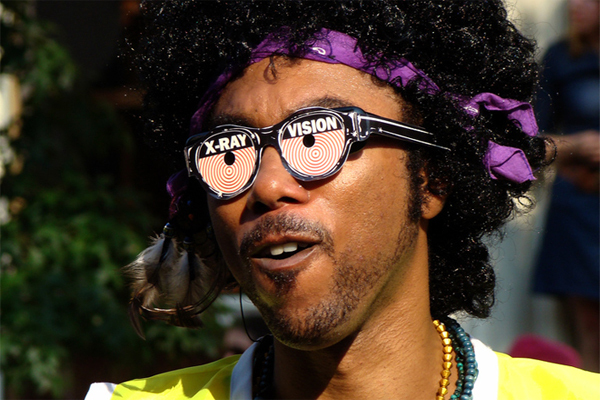 At the same time, through fake x-ray glasses, they can see further too, even further than what their enemies can imagine.